Christina Lee: Mark These as READ! Here are some recent YA books I've read that were very compelling, and kept me turning pages late into the night! I would definitely recommend all of these! Curse working is illegal, and curse workers are branded as scoundrels and con artists. Cassel is the only one in his family who's not a curse worker. Although he's the "straight" kid in a cursed family, he killed his best friend, Lila, years ago. Now he's having terrifying dreams of a white cat and suspects a secret plot between his brothers. He'll have to unravel his past to out-con the people he thought he knew best. Now on to the next pile! Hmm, I've heard of all of these except for White Cat. Thanks for the heads up Christina! I just won the Duff...so I'm about to read it. I just finished the Girl with the Dragon Tattoo. Yeah, a bit different from YA. I'm not much for paranormal, but PARANORMALCY is definitely on my to-read list. I've read so many great things about it! Well you already know...I'm reading "The Girl with the Dragon Tattoo" :) LOVES! 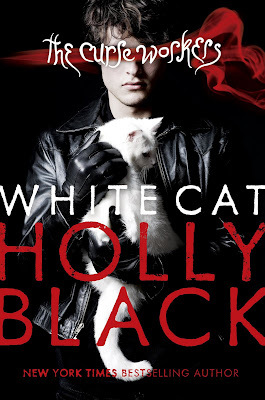 I've heard of White Cat, but I've never read a summary. I think I'll go add it to my list-- sounds great. Can't wait to read Paranormalcy! I'm about to dive into Mockingjay. The first two books were some of most amazing pieces I've ever read. I love reading the story behind the story, straight from the author's mouth, after such a read. Such a good pile! There have been so many amazing YA releases lately. My TBR pile is just full of awesome right now. Many of these are on my list, especially 'Paranormalcy'. Right now I have an advance read copy of 'The Replacement' by Brenna Yovanoff, and I am enjoying it. I also still have to read 'Mockingjay' so hopefully that will happen next week. I have way too many books going on right now! I am not reading anything. I should. Will I? Mmmmaybe. I really should. I've read Paranormalcy and Hex Hall, and am waiting for The DUFF to be mailed out. Can't wait to read it. Two of these are on my to-read list. I finished and loved Paranormalcy a couple of weeks ago. Right now I'm reading, The Eternal Ones and Tithe. My book pile is about to topple over. 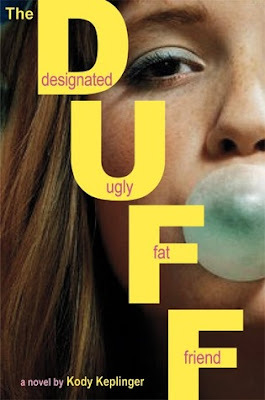 I began The DUFF yesterday. A few days ago I purchased Paranormalcy. 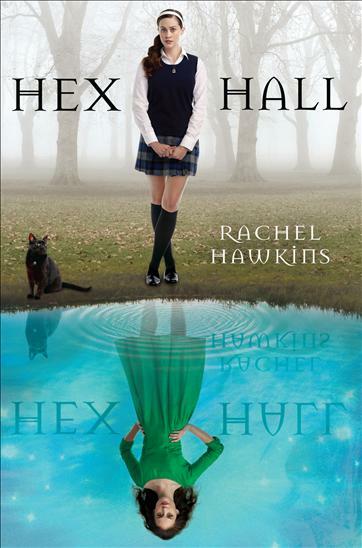 Hex Hall is also sitting in my Kindle.